A great haircut can showcase your personality, and keep your hair healthy; additionally, hair color can highlight your identity, boost your confidence and make you feel and look your best. At HQ Salon, our expert Lakewood stylists can transform your look with an amazing haircut and gorgeous color that completely fit your personality as well as your style! With our professional cuts and the latest trends and innovations in hair coloring, we believe that we can let our clients make bold statements, and leave them feeling confident and beautiful! Transform Your Look with a Stunning Cut and An Amazing Color Treatment from HQ Salon. Call (720) 400-9655 or Email Us for an Appointment. All cuts include a wash, a scalp massage & a blowout. The color services include toner, melting & light dusting. *Corrective color and double process prices are quoted by consultation. Don’t know what type of cut or color you want? You may email info@hqsalondenver.com or text 720-400-9655 a picture of your hair and an inspiration picture for an estimated quote. We are ready to help you figure out the best cut and color for your face, personality, look and overall style! Discover Your Face Shape - They are generally categorized into six shapes: oval, long, square, round, diamond, and heart-shaped. Each face shape will fit with its own right haircuts and hairstyles that will balance and enhance your facial features. Highlight the Good features - There will be many hairstyles that suit your face shape and compliment you from all angles. The only basic rule of finding a great haircut for your face shape is to highlight your best features and try to create the illusion of an oval face. Warm skin tone - Choose a color with a cool tone that will complement your skin. Cool-toned hair colors usually have words like “ash” or “cool” in their names. On the lighter side, pale, champagne, platinum and silvery blonde hues will typically look best. On the darker side, cool reds and brunette shades, as well as amber, auburn, fawn-hued brunettes and rich black-brown shades will usually look best. On the wild side, silvery pastels are great options. Cool skin tone - Go for warm, rich shares that complement your skin and that won’t wash you out. These colors typically have words like “chocolate,” “honey” or “warm” in their names. On the lighter side, golden blondes are great options. On the darker side, chocolatey brown hues and darker shades with some warmth to them will usually look best. On the wild side, bright, warm shades are the best choices. Avoid over shampooing, which can dry hair out. Try to wash your hair 2 to 3 times per week to avoid stripping hair of natural oils. Choose a conditioner that meets your hair and scalp needs. Use products and tools that will protect, not damage, your hair. This can include anything from heat protectant products to nice combs, quality blow dryers and more. Your hair and the type of cut you get will determine how soon you need to return to your stylist for a trim. In general, though, it’s best to stick to the 6 to 8 week rule. Getting trims within about 2 months of your last cut can keep your hair looking its best! After getting your hair colored at HQ Salon, wait 48 hours (2 days) before shampooing your hair. Shampoo and conditioner with sulfate-free products. Shampoo with slightly warm water and rinse conditioner out with cold water. Wash your hair 2 to 3 times weekly and use dry shampoo on days when you are not washing your hair. Apply protective leave-in treatments and/or heat protectant sprays before styling hair. Wash your hair with clarifying shampoo one day before your color appointment at HQ Salon. HQ Salon is a chic, full-service salon offering exceptional services, amazing products and gorgeous results. Our master stylists and other talented pros cater to all types of hair, eyebrow, eyelash and makeup needs while providing our clients with relaxing, luxurious experiences, personal service and dazzling looks. 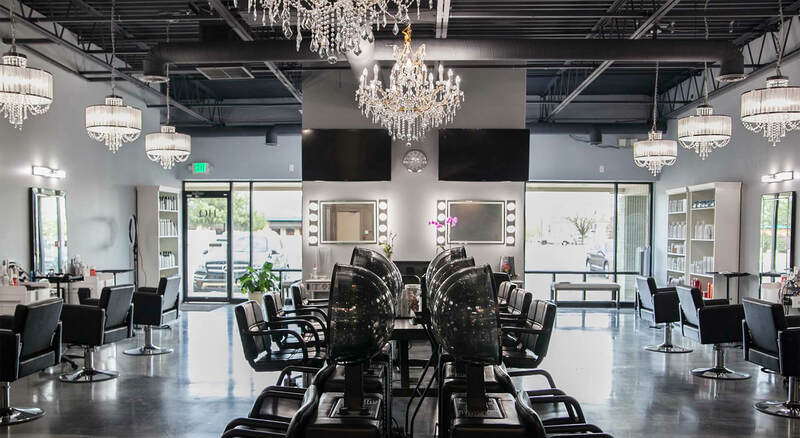 Up to date with the latest styles, trends and innovations in hair color, haircuts and styles, we are ready to offer you the best salon services in and around Lakewood. HQ Salon welcomes all types of clients – women, men and children. Our first-class service comes with deluxe amenities like a beer and wine bar, a snack bar, free parking and free Wifi to provide an optimal client experience. We look forward to serving you and styling your hair! © HQ Salon 2019. All rights reserved.